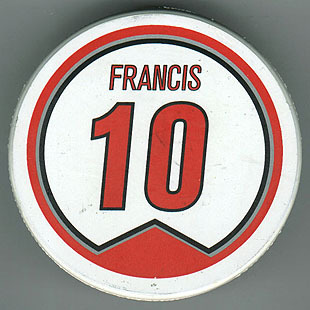 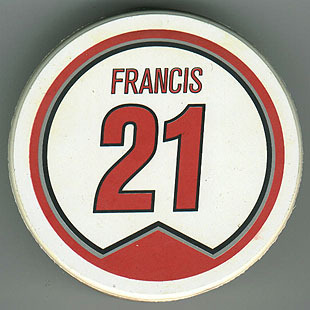 Fotopuck 2000 #21 Ron Francis. 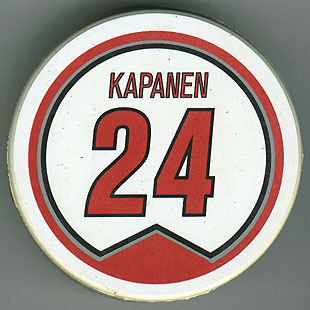 When ordered, Ron was #21. 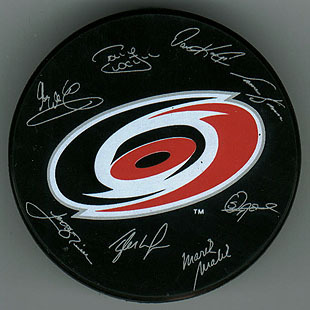 When they arrived, Ron was #10, so The Eye sent all of them back. 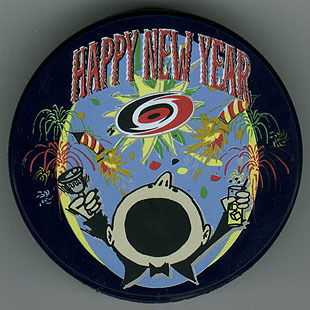 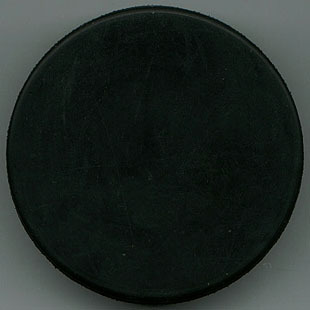 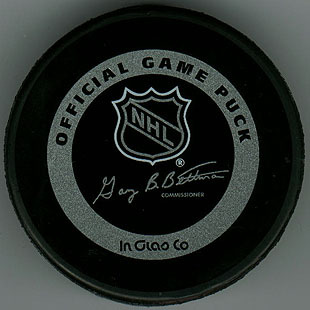 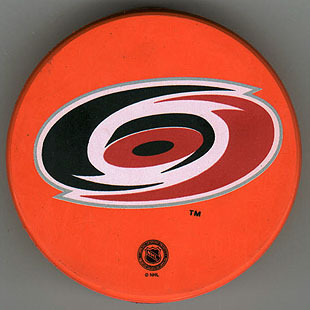 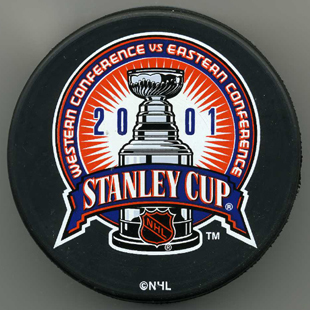 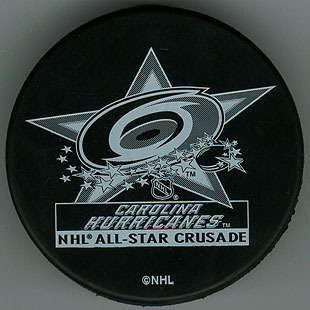 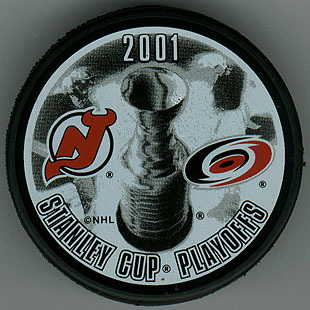 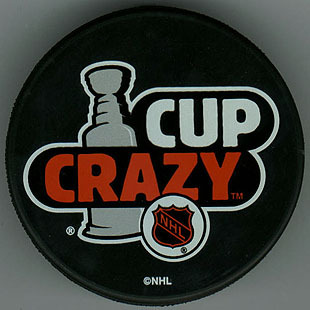 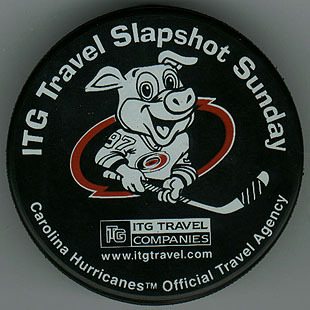 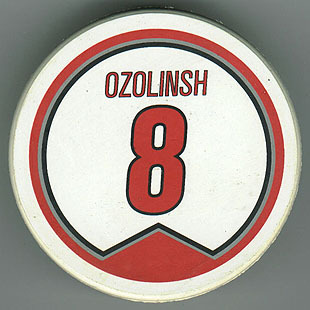 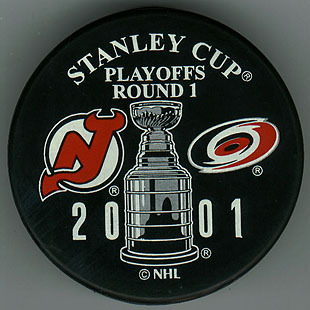 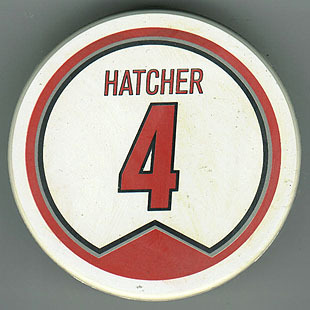 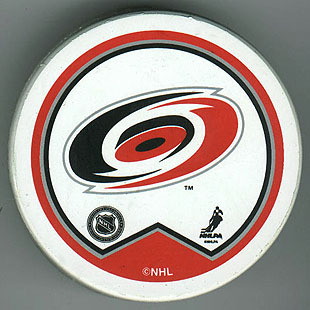 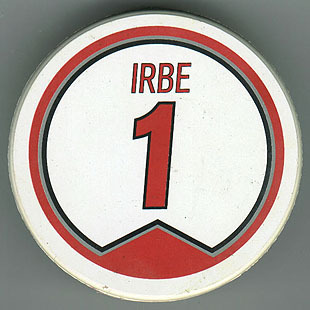 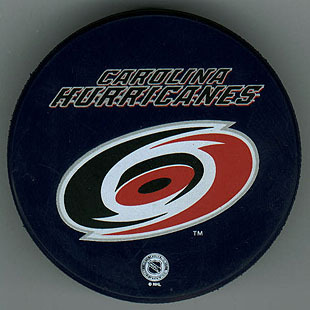 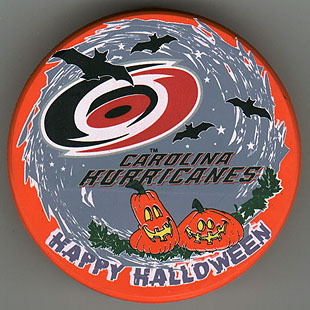 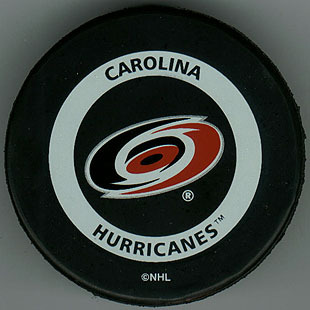 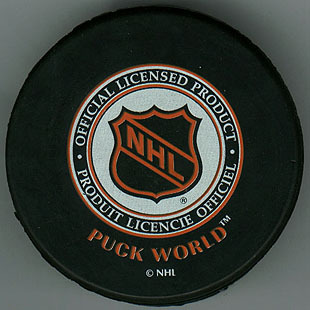 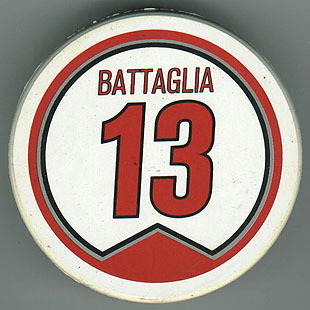 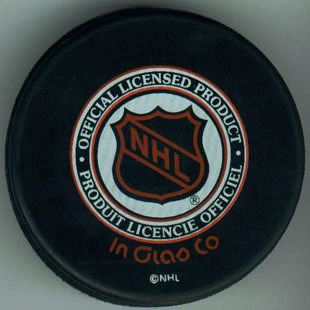 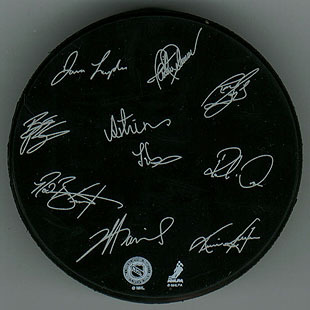 Inglasco 2001 The theme of the 2001 playoffs was "Cup Crazy" and these pucks featured the logo.